Hailed as the world's best club DJ, J.ROCC continues to capture music enthusiasts around the globe. In 1992, Jason Jackson, internationally known as J.Rocc, launched his vision of forming a DJ crew comprised of talented musicians, by introducing to the world Southern California's first turntable band - the Beat Junkies. A prized accomplishment enthusiastically received by worldwide audiences, J.Rocc continues to invent musical styles that display his creative expertise. Highly recognized for his funky showcases and original arrangements, J.Rocc has clearly distinguished his place in music history. 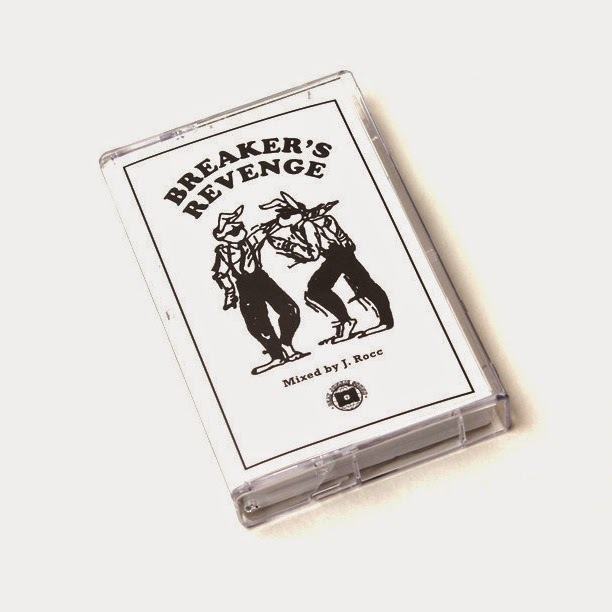 Breaker’s Revenge is a mix from J Rocc’s arsenal originally assembled in 2001 and sold hand to hand only. This pressing is limited to 200 hand numbered copies.